Why would I need self storage in Staten Island, NY? There are a variety of reasons why you might need self-storage in Staten Island, NY. How much is a storage unit in Staten Island, NY? The cheapest storage unit in Staten Island, NY is $95.00 per month. What size storage units do you have available in Staten Island, NY? In Staten Island, NY we have sizes that range from 5'x5' to 10'x25' to suit your storage needs. How much is it for a 5'x5' storage unit in Staten Island, NY? The cheapest 5'x5' storage unit in Staten Island, NY is $110.00 per month. Staten Island is a New York City borough and island in New York Harbor. It lies between New Jersey and Brooklyn, just south of Manhattan. The Staten Island Ferry connects the island to Manhattan, while several bridges make it easy for locals to access New Jersey and Brooklyn. Staten Island is known as New York's borough of parks, because it has a number of public parks and green spaces. The Unami people originally occupied Staten Island. After several failed attempts, Dutch settlers established a colony at Oude Dorp in 1661. English and Welsh farmers began arriving a few years later. During the Revolutionary War, the island's strategic location made the island important in the British invasion. In 1898, Richmond, as it was then known, became one of New York City's boroughs. Newly-constructed bridges made it possible for people to commute to and from the island, opening it up to growth and development through the 20th century. It was renamed Staten Island in 1975. Staten Island is New York's least-populated borough but the third largest in terms of square mileage, so there's plenty of space for locals and visitors. 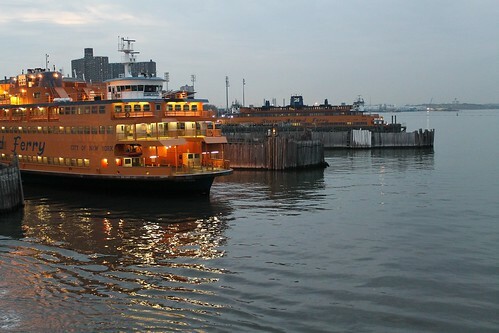 Many tourists catch the ferry from Manhattan to see local attractions, including the Staten Island Institute of Arts and Sciences, Staten Island Botanical Garden, the Staten Island Zoo and the Green Belt, the largest park in New York City. Historic Richmond Town is another popular attraction. It's one of the best-known living history museums in New York City and features 15 historic buildings. Staten Island is primarily a residential area, but there are also a number of job opportunities in a variety of industries. The healthcare and social assistance sector is Staten Island's largest industry, providing a major percentage of all private-sector jobs. Staten Island University Hospital is the largest employer in this sector and the borough overall, with several thousand jobs between its campuses and community offices. Staten Island's tourism industry supports roles in hospitality, retail, food service and customer service at local attractions. Retail is the second-largest employment sector in Staten Island, followed by hotels and motels. Staten Island also has a large manufacturing sector featuring diverse producers including Wrought Iron Concept, MHT Lighting, Tech Products and Power Metrics International. Staten Island schools fall under the jurisdiction of the New York City Department of Education. There are also many private schools in Staten Island, including Catholic, Islamic and Christian campuses. The island is also home to one non-religious private school, Staten Island Academy. Utilities: National Grid, Con Edison and the NYC Water Department are Staten Island's primary utilities providers. Garbage and Recycling: New York City facilitates regular collection of trash and recyclables. Specific collection schedules depend on your home's location in the collection zones. Transportation: The MTA provides public transportation on Staten Island as well as in the other New York City boroughs. The free Staten Island Ferry provides direct access to Manhattan. Staten Island has such a large variety of home styles, sizes and prices that there really is something for everyone. Nearly a third of local properties are detached single-family homes, but Staten Island also has numerous apartments, duplexes and row houses. You'll find more than 30 distinct neighborhoods on the island, each with its own personality and amenities. Although homes on Staten Island are fairly expensive, on average they're less expensive than those in Brooklyn and Manhattan. Our lowest priced units in Staten Island, NY average $102.50 per month. 85 people have reserved units in Staten Island, NY in the past 30 days. There are 2 locations within Staten Island, NY's city limits. There is 1 location in Staten Island, NY that offers AC and Heating features.